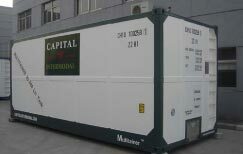 Lloyd’s approved for international shipment as a std tank container. 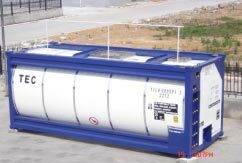 IMO 0, Type 70 - ISO 1496 Pt 3 “Tank Container” Classification. PUR Insulated and steam heating system. 316 Stainless Steel Inner Tank - Food Grade 2B Finish.